THHB has been seen on a couple of "basketball" sites recently. Check us out over on the Hawks Officially Great Site (Caution: Web Blog like substance!) giving our opinion on how the Hawks did this offseason along with the thoughts of our Hawks Blogging Brethen. Also, as a part of Heels on Hardwood's "Match Up" series, THHB was graciously invited by Nat to apply that offseason to what we thought it might mean on the court next year. And then HoH offers their thoughts on how the Raptors match up with the Birds for next season.Worth reading as HoH is part of a fantastic stack of Raptors blogs--very knowledgeable and good reading, too--heck, get a tasty beverage and enjoy the breakdown! Finally, a very special HAPPY BIRTHDAY to the fantastic Peachtree Hoops. Wow--it was a great year---great job Bret and Drew! And thank you. Go back, if you will, to the 1976 ABA All-Star Game in Denver---and imagine the famed dunk contest without two of its celebrated participants. Or if a prized lottery victory had fallen into the hands of Billy Knight in 2003. Everybody wonders what might have been if….. But for fans of the Atlanta Hawks, sometimes the “what if” was closer to reality than maybe they ever would want to know. What would the outcome have been if the following players, all who were excruciatingly close to being in the The Nest, had donned the Pac-Man? The Hawks already had Pistol Pete Maravich and Lou Hudson and were ready to make more noise in the ’72-’73 season when they negotiated a contract with then Virginia Squires star Julius Erving, but were rebuffed because they did not bother to hold the draft rights to Erving. The Hawks felt that, because he was already a pro, they didn’t need to draft him and that’s when they negotiated a deal with Erving. In the 1972 Draft, the Milwaukee Bucks took Erving’s NBA rights with the 12th pick. 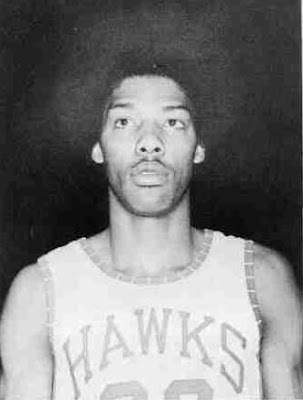 The Hawks would have been able to pick him ahead of the Bucks that season, but in addition to their belief that they didn’t have to draft him, they had forfeited their first round pick on a hardship entrant draft pick (Tom Payne) during the 1971 season. After much confusion and legal wrangling, a panel of judges sent young star back to Virginia and his Hall of Fame career went on to greater heights with the Nets and Sixers.And as if losing Dr. J wasn't enough, the Hawks were even fined 25K for playing Erving in those preseason games. Even without Erving, the Hawks won (46) games, finished 3rd in points per game, and took the celebrated Celtics to (6) games in the conference semifinals before bowing. Before the next two seasons closed Hudson, Maravich, and Fitzsimmons were all ex-Hawks and the team was back to the top of the draft board, leaving Hawks fan to wonder what might have been had the team been able to take care of all the business of bringing Dr. J to the ATL. The Hawks drafted the dynamic North Carolina State star #1 in the 1975 NBA draft, but couldn’t overcome some obstacles (real and mythical) to bring the star of the 1974 National Champs (NC State) to the ATL. For one, the lure of the ABA was strong for a player of Thompson’s flair. The NBA very much had the image of the stodgy ultra-conservative style of play in the NCAA that rubbed players like Thompson the wrong way. Even in Thompson’s last season at NC State, baskets were being taken away if being executed as dunks. 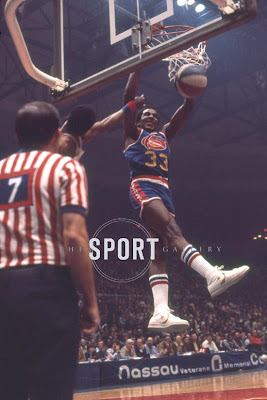 The ABA, by contrast, was a league that prided themselves in being the anti-NBA and Thompson's athletic expressions would not be potentially penalized, but celebrated. Secondly, the Denver Nuggets pulled at Thompson’s sense of “home” by leveraging their coach, Larry Brown, a member of the North Carolina basketball family (yes, Thompson went to State, but it's all NC) and the signing of Thompson friend and point guard on Norm Sloan’s championship team, Monte Towe. The Hawks allegedly offered Thompson more real money sooner, but the Nuggets countered with a deferred payment schedule that ultimately looked at least close enough for Thompson to follow his comfort and head to Denver. Sidenote: There is a fabulous story of the Hawks wining and dining Thompson at a McDonald’s as a tale of either the Hawks arrogance or ignorance regarding the importance of wooing Thompson. We have never gotten any Hawks source to confirm that bit of lore for us, but we believe it’s a likely a bit of myth because the Hawks sorely needed Thompson (and #3 pick in the draft Marvin Webster, who also went to Denver) to bolster the team’s fortunes since the loss of Erving and Maravich had left the Birds in a bad (read: losing) way. Had the Hawks secured Thompson, the most exciting player in the NBA might not have become Dr. J a couple of seasons later, but rather the explosive Thompson—and the Hawks would have had the marquee player they had been seeking to change their fortunes—and maybe wouldn’t have sold the team to Ted Turner the following year. Years later, on the day of his resignation from the Hawks as GM, Babcock exclusively told THHB that he had indeed still had his man on the board when the 27th pick came calling, but it wasn't Tinsley and it wasn't even hotshot Arizona freshman Gilbert Arenas. Babcock said in that interview in 2003 that the second biggest regret (behind bringing JR Rider into Atlanta) was passing on Parker, who had already established himself as an All-Star caliber PG for the San Antonio Spurs who jumped on Parker with the very next pick. The Hawks certainly would have benefited from Parker’s acumen at point guard. The Hawks had talent, but lacked leadership and poise from the primary ball carrier—could Parker have affected that? Most certainly. And can you imagine the career path of Parker had he come to Atlanta? 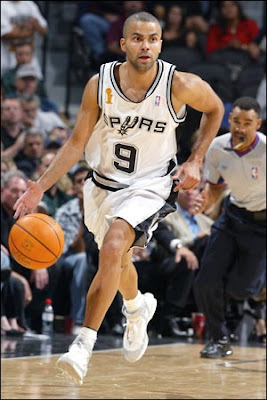 Would he have become an earlier version of Boris Diaw? Would he have fled the country? No marriage to Eva? Certainly Parker can't complain about how things worked out for him, but Hawks fans can--as the team drafts another PG in the first round looking eternally for their point guard of the future. The NBA lottery system is akin to the actual lottery itself, with teams being assigned a series of numbers that represent their “lucky lotto jackpot” numbers. Ping Pong balls are drawn and posted and then they check to see who has that combination of numbers.And you don't even have to buy a Big Gulp. 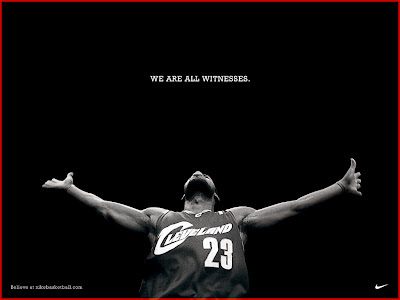 In 2003, there was no bigger prize than the King. There were excellent consolation prizes to be sure (Carmelo Anthony, Chris Bosh, Dwyane Wade, et al. ), but for Hawks fans that dreamed of returning to NBA relevance on the back of a true superstar, James was desperately needed. According to witnesses in the drawing room, as the numbers were being drawn for the #1 slot, the Hawks watched as the ping pong balls, one by one, matched up with their combination. When the last number came up, the dream died---by a single digit. There would be no parades, no parties, and for the Hawks in 2003--no draft pick in a rich lottery of talent as the pick was transferred to the Milwaukee Bucks to complete the previous Glenn Robinson deal (Hawks no win lottery = Hawks no get pick). So close—yet, so far---the tale for these Almost Hawks and the fans who have endured.